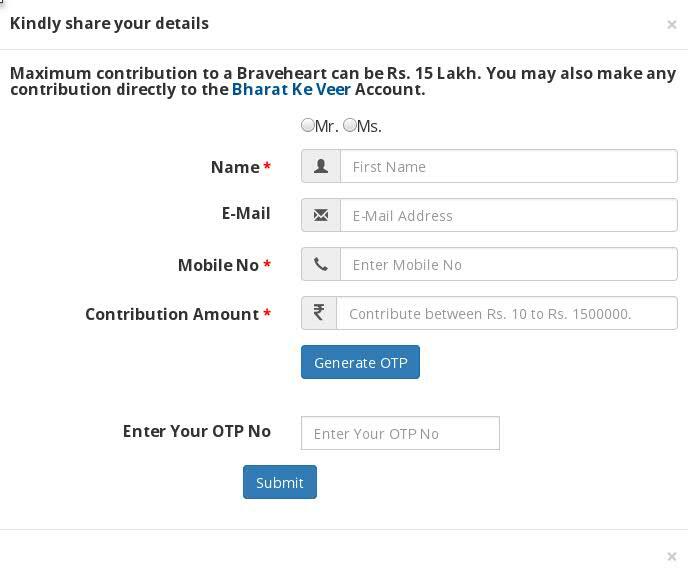 Using BharatKeVeer Portal, anybody can donate up to a minimum of Rs 10 and maximum of Rs 15 lakh to families of martyred soldiers. 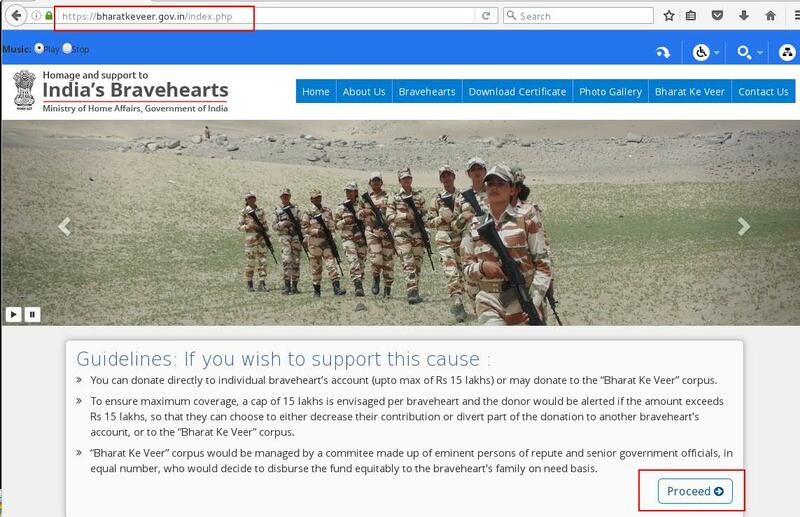 Open https://bharatkeveer.gov.in and Click on Proceed. 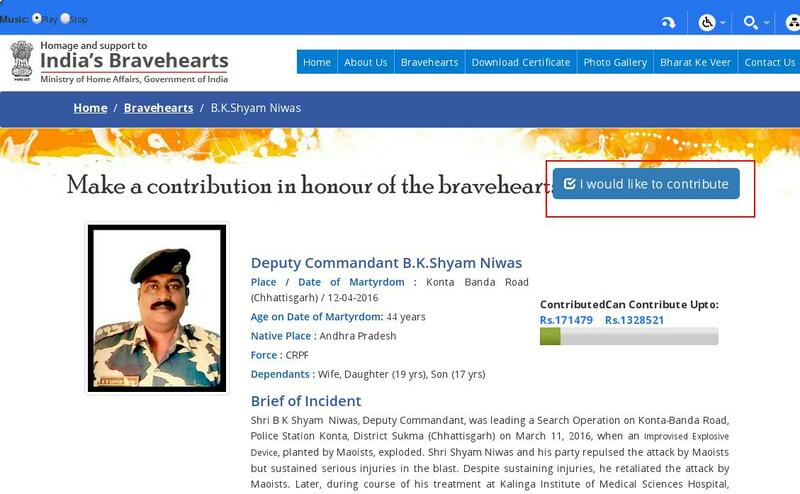 Choose Filter option to Search any specific, or Select Bravehearts in given list. Click on "I Would Like to Contribute"
Fill in the required details. 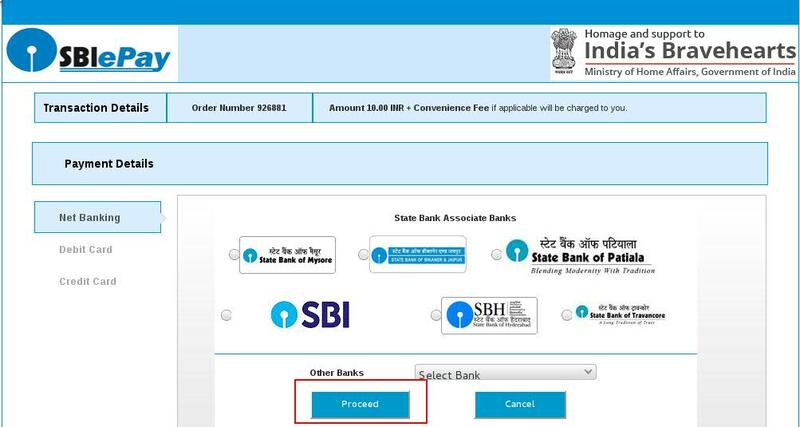 Maximum contribution is from Rs 10 to 15 lakh. Click Submit. 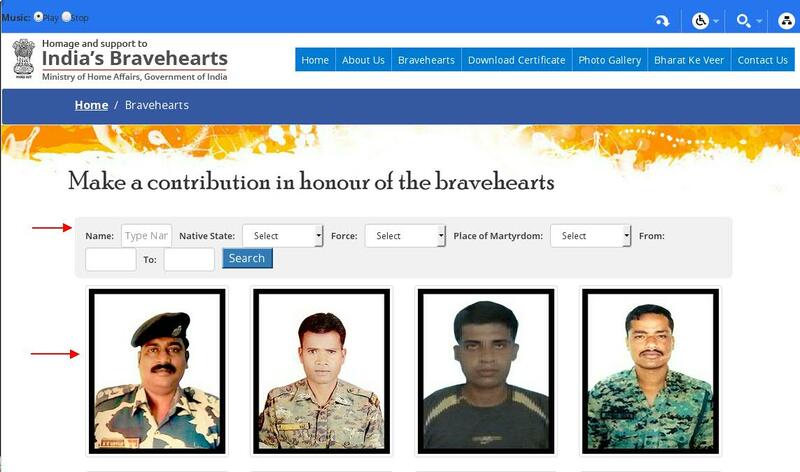 Click on "Proceed for Payment"
Select Payment Mode and Proceed to make your Contribution for these Bravehearts.